BBJ Awarded Best New Construction in Hampden 2017! 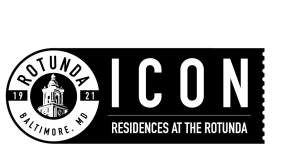 Experience ICON Residences at the NEW Rotunda before they're all gone! 379 brand new luxury apartments surround exciting new ground floor retail, giving you all the conveniences of a walk-able city lifestyle, without the congestion and high prices. Join the hippest neighborhood in Baltimore and keep your finger on the pulse of everything that's happening in Charm City. $150 initial non-refundable pet fee plus $150 pet deposit (refundable). Monthly pet rent $50 for dogs and $30 for cats. Breed restrictions include but are not limited to: Chow, Akita, Rottweiler, Pitt Bulls/ American Staffordshire Terriers and Spitz.